Crash test performance is important to consumers, providing a way for them to compare the safety performance of various models. The Insurance Institute for Highway Safety (IIHS) conducts crash tests for many of the vehicles you might consider and assigns these models with a rating. Vehicles that meet the advanced both criteria are assigned a Top Safety Pick+ rating. As of April 2014, very few models have achieved the IIHS’ top rating. By category, the following vehicles qualify with some exceptions noted. Top Safety Pick+ — 2014 Toyota Prius (select models). 2014 Honda Civic 4-door — applies only to optional front crash prevention models. 2014 Mazda 3 — applies only to optional front crash prevention models and to vehicles built after October 2013; hatchback and sedan body styles included. 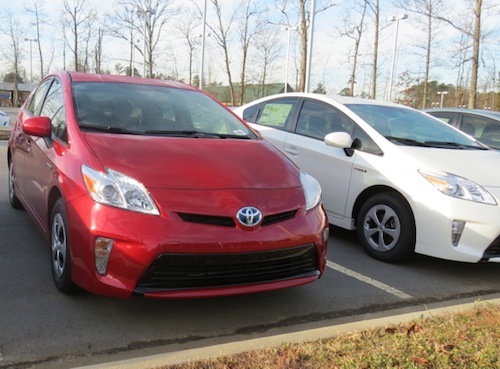 2014 Toyota Prius — applies only to optional front crash prevention models. Applies only to vehicles built after November 2013. 2014 Chevrolet Malibu — applies only to optional front crash prevention models. 2014 Ford Fusion — applies only to optional front crash prevention models. 2014 Honda Accord 2-door — applies only to optional front crash prevention models. 2014 Honda Accord 4-door — applies only to optional front crash prevention models. 2014 Mazda 6 — applies only to optional front crash prevention models. 2014 Subaru Legacy — applies only to optional front crash prevention models. 2014 Subaru Outback — applies only to optional front crash prevention models. 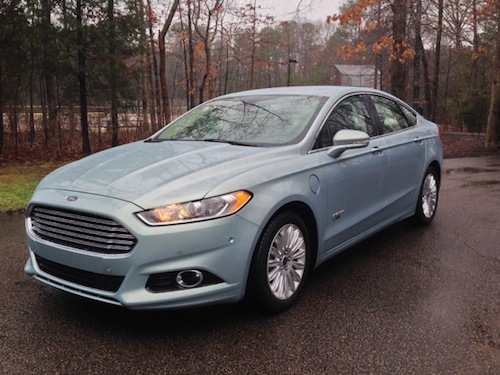 Top Safety Pick+ — 2014 Ford Fusion (select models). 2015 Audi A3 — applies only to optional front crash prevention models. 2014 Infiniti Q50 — applies only to optional front crash prevention models. 2014 Lincoln MKZ — applies only to optional front crash prevention models. 2014 Volvo S60 — all models. 2014 Acura RLX — applies only to optional front crash prevention models. 2015 Hyundai Genesis — applies only to optional front crash prevention models. 2014 Volvo S80 — all models. 2014 Mazda CX-5 — applies only to optional front crash prevention models. Applies only to vehicles built after October 2013. 2014 Mitsubishi Outlander — applies only to optional front crash prevention models. 2014 Nissan Rogue — applies only to optional front crash prevention models. 2014 Subaru Forester — applies only to optional front crash prevention models. 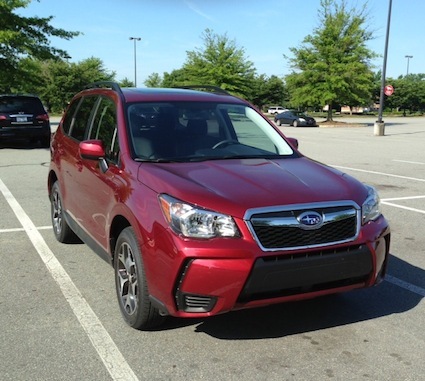 Top Safety Pick+ — 2014 Subaru Forester (select models). 2014 Chevrolet Equinox — applies only to optional front crash prevention models. 2014 GMC Terrain — applies only to optional front crash prevention models. 2014 Toyota Highlander — applies only to optional front crash prevention models. 2014 Acura MDX — applies only to optional front crash prevention models. 2014 Mercedes M Class — applies only to vehicles built after August 2013. 2014 Volvo XC60 — all models. 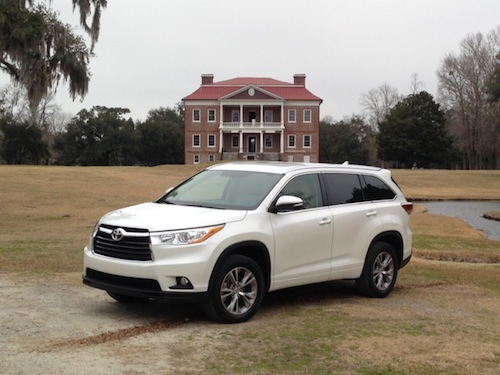 Top Safety Pick+ — 2014 Toyota Highlander (select models). 2014 Honda Odyssey — applies only to optional front crash prevention models. Achieving a Top Safety Pick+ rating should result in lower auto insurance costs for consumers. The time to check what your rate will be should be done before you make your purchase. Insurance rates can vary by hundreds of dollars annually between like models. You should also know that the ratings are assigned with the vehicle category in mind. That simply means larger and heavier vehicles provide better protection than smaller and lighter models across the board. Please note that as of April 2014 Auto Trends now includes IIHS safety ratings with the vehicle specifications for every new car review posted to this site. Toyota moves deep into the heart of Texas. 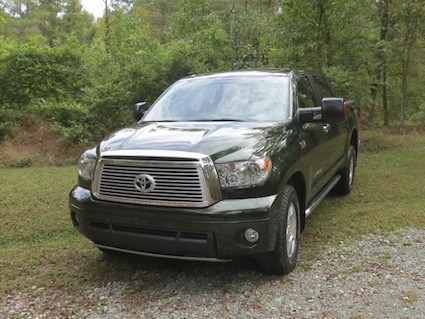 Tundra is one of two Toyota models currently built in Texas. Toyota already has a strong presence in Texas including in San Antonio where its truck plant produces its full-size Tundra and smaller Tacoma pickup trucks. Toyota’s presence in the Lone Star State is about to boom with its announcement on Monday that its far-flung North American headquarters will be united in Plano, just north of Dallas. The consolidation to Texas will give the world’s largest automaker a much more central presence, moving its operation closer to where it produces many of its vehicles and to the heart of the consumer market. In the 1950s it made sense for Toyota to set up headquarters in California where it could get a toehold in the US market. Since then, Toyota has spread across the country and redefined itself: it no longer is it simply a Japanese brand, but a global powerhouse, one with a distinctly American brand in its Lexus line. At present, Toyota has three separate locations for its manufacturing, sales and marketing, and corporate divisions. Besides its Torrance, California, base of operations for Toyota Motor Sales, U.S.A., Inc., Toyota Motor Engineering & Manufacturing North America is based in Erlanger, Kentucky, and Toyota Motor North America is in New York City. All three will consolidate to Texas no later than early 2017. Even so, Toyota has promised to maintain a presence in all three locations and will increase its philanthropical support to the affected communities for five years beginning in 2017. Toyota will maintain about 2,300 employees in California and 8,200 workers in Kentucky. The automaker also supports area nonprofit and community groups in both states, and will contribute an additional $10 million over and above its current commitments. Toyota will move about 2,000 people from California, 1,000 from from Kentucky and a small group of people from New York to Plano. Its separate Toyota Financial Services (TFS) company will also head to Texas, but not before 2017. Some 1,000 TFS employees will be affected by that move. Toyota’s new headquarters will compose a state-of-the-art environmentally sustainable complex that will take about two years to complete. The company plans to break ground for that facility this fall, but initial small groups will begin to move in this summer to a temporary facility not far from its future headquarters. Moving from California to Texas makes sense not just from a geographical proximity standpoint, but from a financial perspective. Texas has long ranked among the top states for doing business, coming in at No. 2 in a 2013 CNBC survey of the same, finishing just behind South Dakota. Although its cost for doing business isn’t particularly impressive (coming in at No. 35), Texas received top marks for its economy and infrastructure. California has long ranked near the bottom of the pack, falling to No. 47 in 2013. The state scored highest (No. 2) for technology and innovation, finishing behind New York. But, Texas also ties California for that honor and beats its west coast rival in other categories including workforce, education, and cost of living. Toyota’s US sales are just ahead of Fiat Chrysler and behind the Ford Motor Company to hold third place. Year-to-date sales are down 1.6 percent in a market that is up 1.4 percent for the year according to the Wall Street Journal. Elio Motors: Shreveport Fact or Fantasy?